Weekly Happenings: We had a pretty low-key week since we knew that the weekend would be crazy. 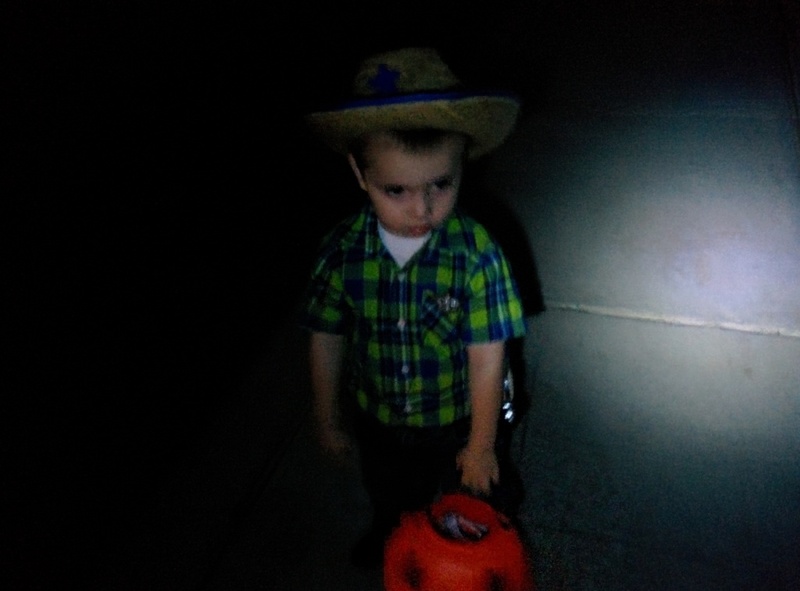 This is the first year that Joseph really understood the concept of Halloween. 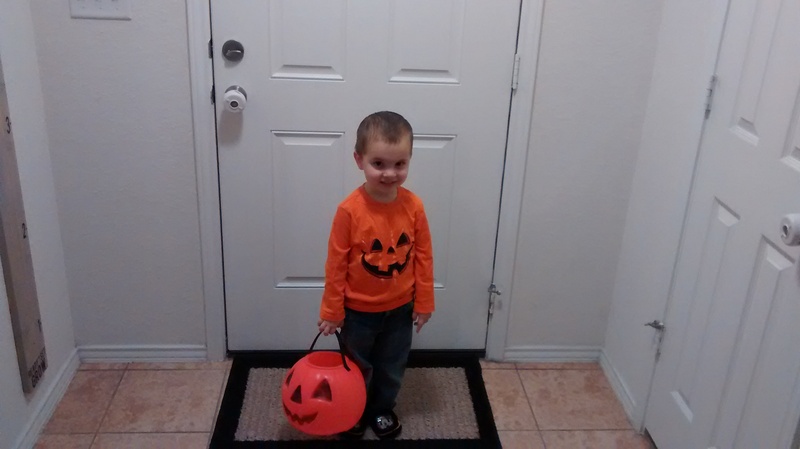 He was excited to get dressed up and even excited to go trick-or-treating. 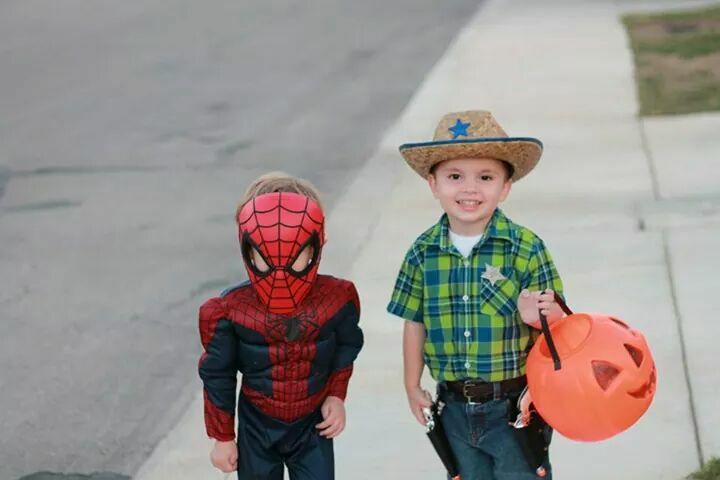 On Thursday, we had our ward Trunk-or-Treat. We ate ahead of time because I knew Joseph would not want to eat while there. Paul was stuck going to his weekly class, so I took Joseph on my own. 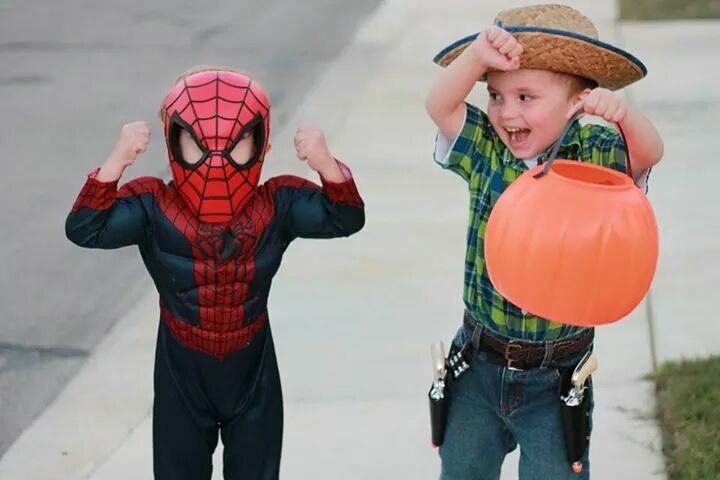 I was kind of sad for Paul, but he said he’d take Joseph trick-or-treating through the neighborhood on Halloween, so that made me feel better. When we got there, I got Joseph out of the car and he ran around saying, “Happy Halloween, everyone!” I have no idea where he got that from, but it was cute. 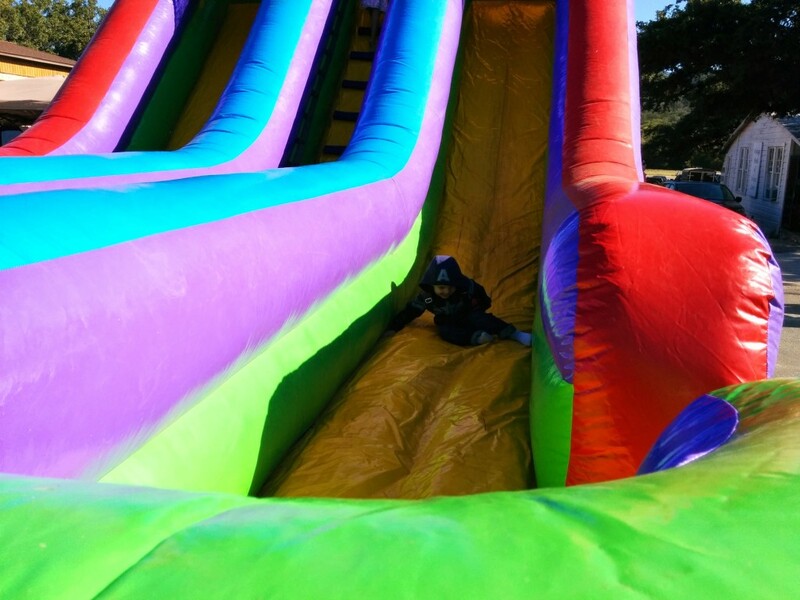 I then let him play with his friends while I talked with some of mine (the field is completely enclosed, so the kids can run around and be completely safe. 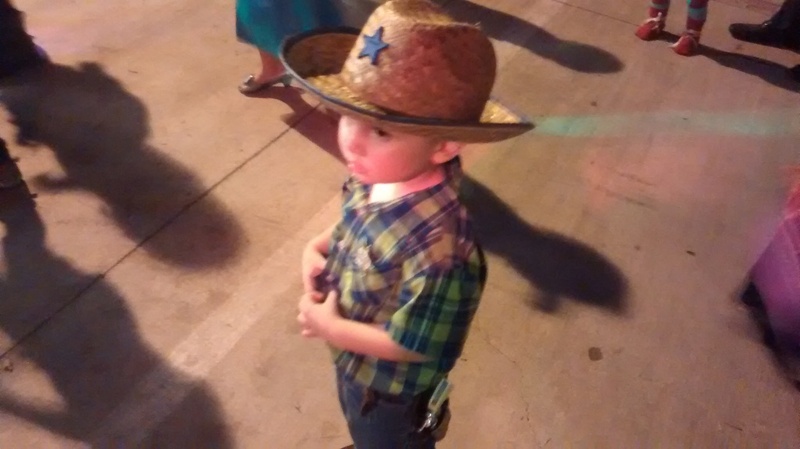 I just made sure to keep an eye on my little cowboy). They also had someone there DJing, which Joseph loved. 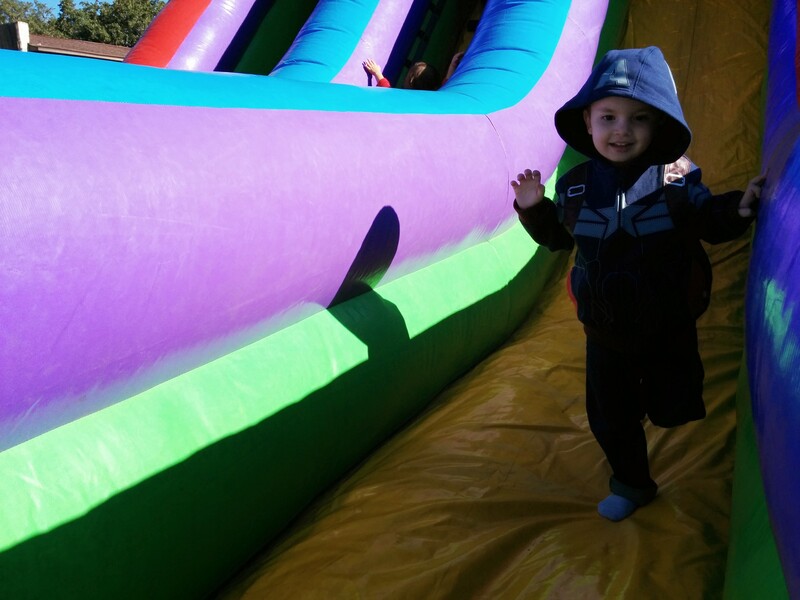 He and a bunch of his little friends jumped and danced to the music. 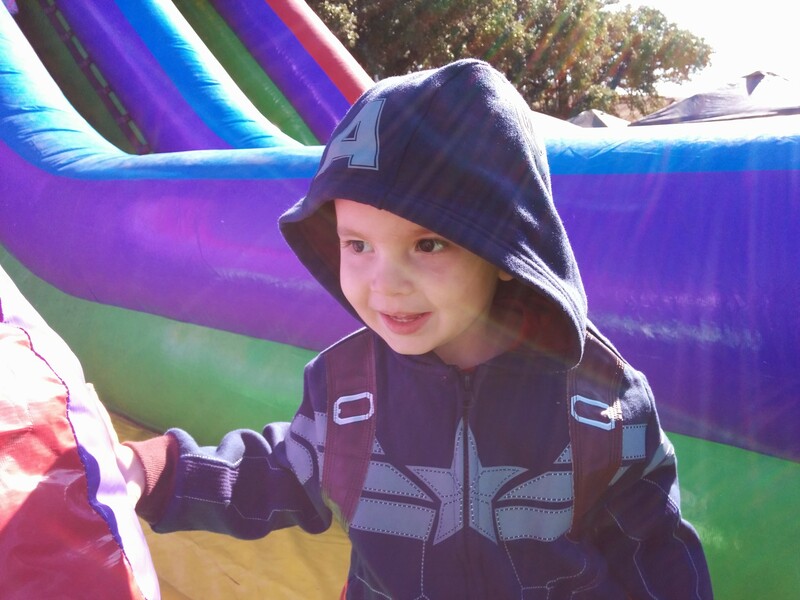 After that, it was time to go to the various cars for the trunk-or-treat part. 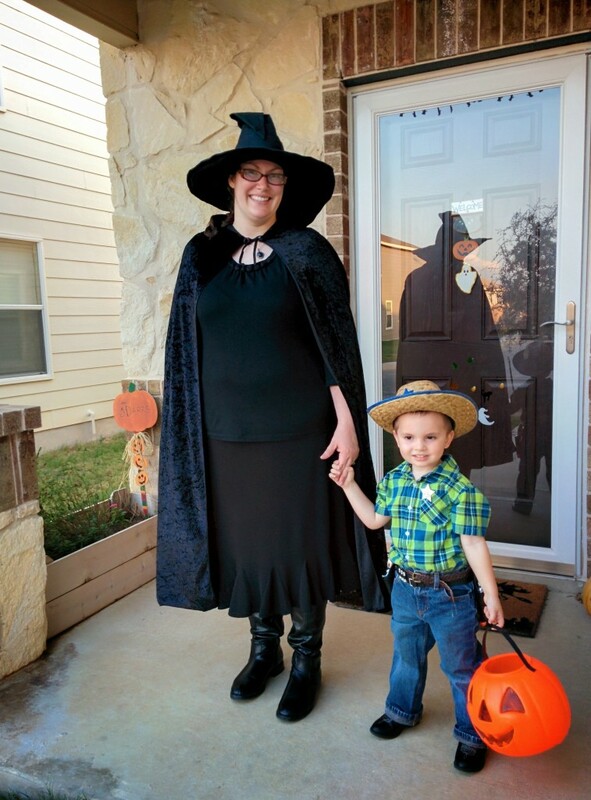 Joseph loved saying, “Trick-or-treat!”. 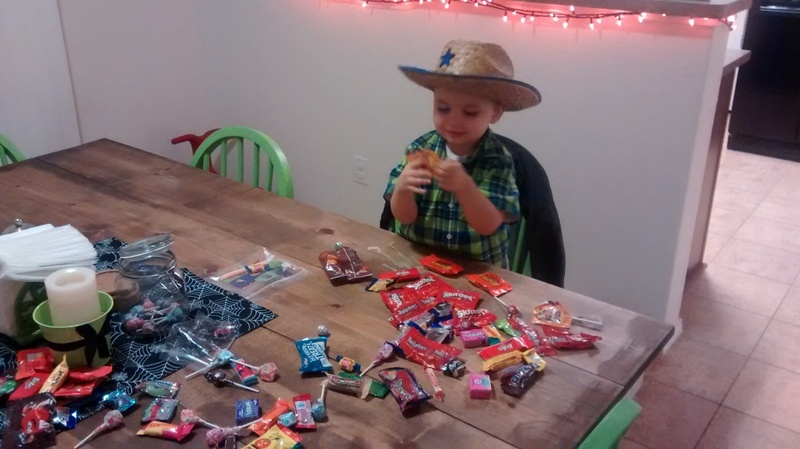 When we got home, he was exhausted, but not too exhausted to try some candy. 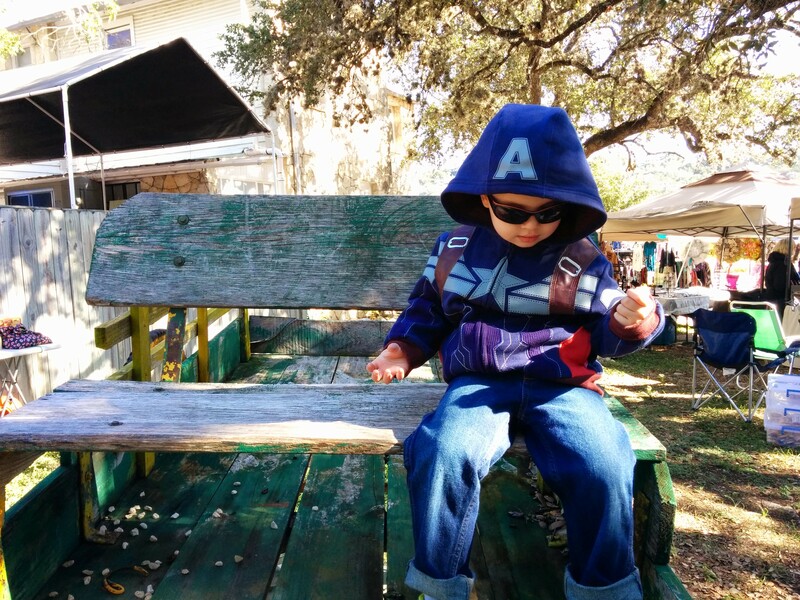 His current favorites are Kit-Kats and Dum-Dums (which surprises me…I guess he’s not totally anti-sweets anymore). 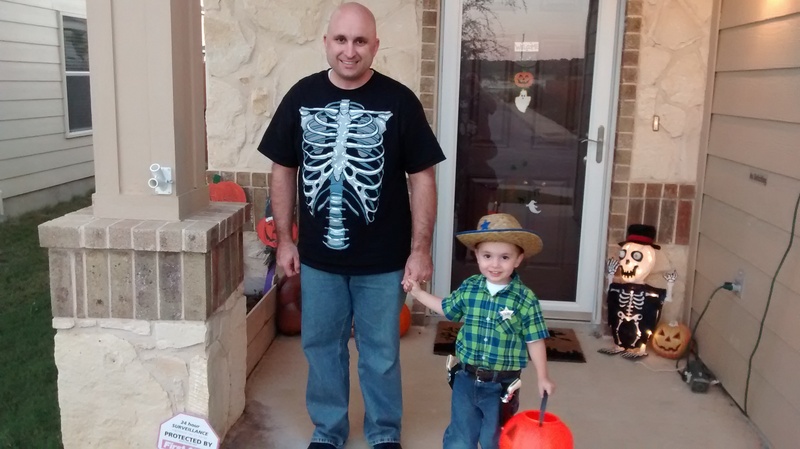 On Friday (Halloween itself), Paul took Joseph through the neighborhood to trick-or-treat while I stayed home to hand out candy (we had A LOT of trick-or-treaters this year). 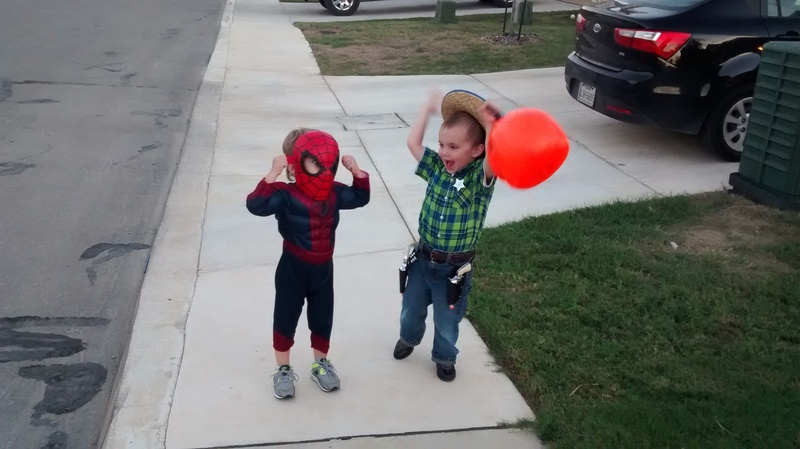 At one point, Joseph lost his sheriff star and was pretty crestfallen, but Paul went back out and was able to find it! 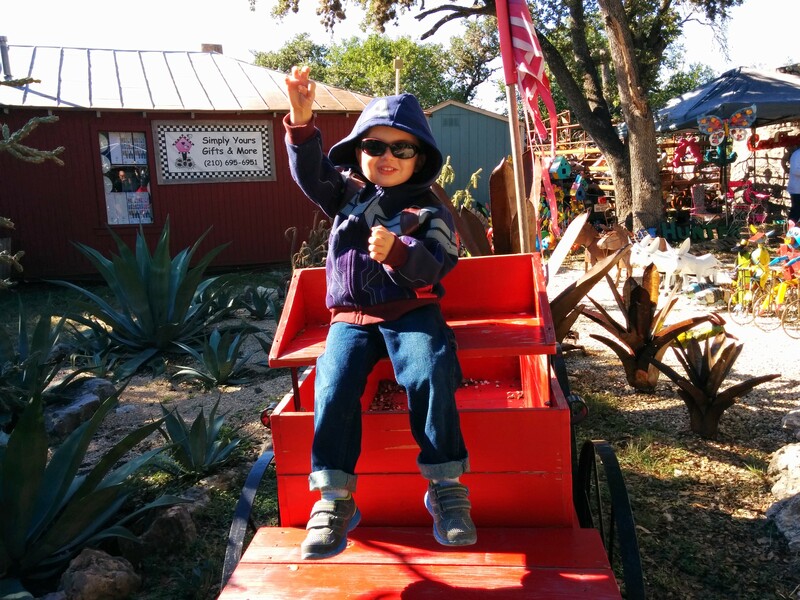 Yesterday we went to the monthly market-day in Old Town Helotes. The weather had taken a turn (it started Friday night) and it was actually cool enough to wear a sweater! SO nice! The Weekly Weather: The beginning of last week was still kind of warm, but towards the end it started to cool off. This week is supposed to be cooler, with temperatures in the 70s (and only one day projected to be in the low 80s). C’mon fall, you can do it! What Paul’s Been Up To: Besides the normal stuff (work and school), Paul was able to be a bit of a good Samaritan when leaving work one day. Here’s what he put on his blog about the incident: “So yesterday I made sure to be all set up to leave work right on time. As I got out to the parking lot, I saw a coworker trying desperately to get her car to work. There was another coworker using her phone, trying to read over some directions to fix things. I decided to help out also. Apparently the gear shifter was stuck. After checking a few things we ended up deciding it was the brake shift interlock that was the problem. Luckily I like to be prepared. In my trunk I had a flat head screw driver that made it easy to depress the manual release for the brake shift interlock. I let her borrow my screw driver in case she needed it driving home. Today she returned the screw driver with a thank you note and gift card. The gift card was actually unnecessary but appreciated. I was just glad to help out.” That’s my helpful guy, all right! 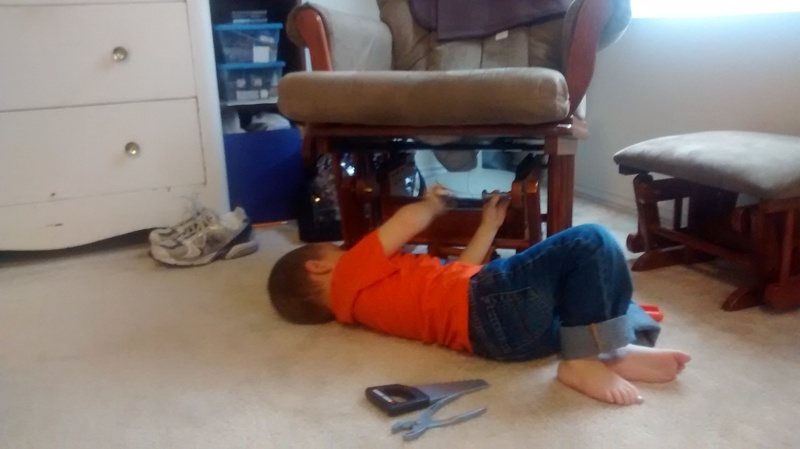 He decided my chair needed fixin’. 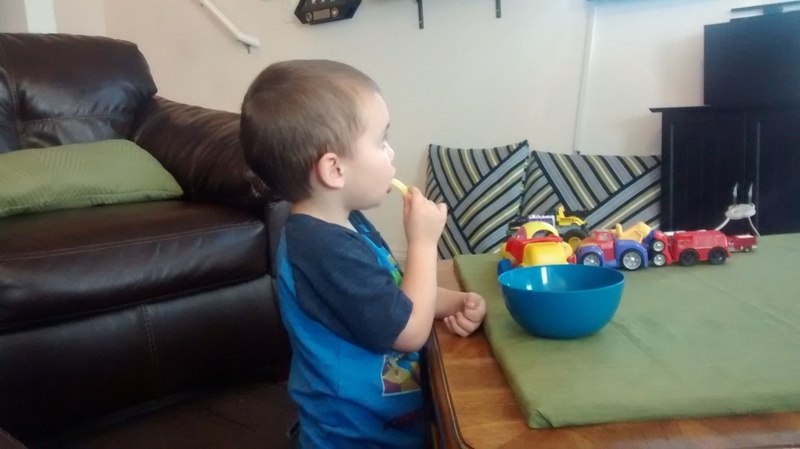 One of his new favorite snacks is Veggie Straws. That was my bowl that I got for myself, but he commandeered it. Getting ready to leave for the Trunk-or-Treat. At the Trunk-or-Treat. This was right as a song stopped, so I was actually able to get a picture of him without it being blurry. 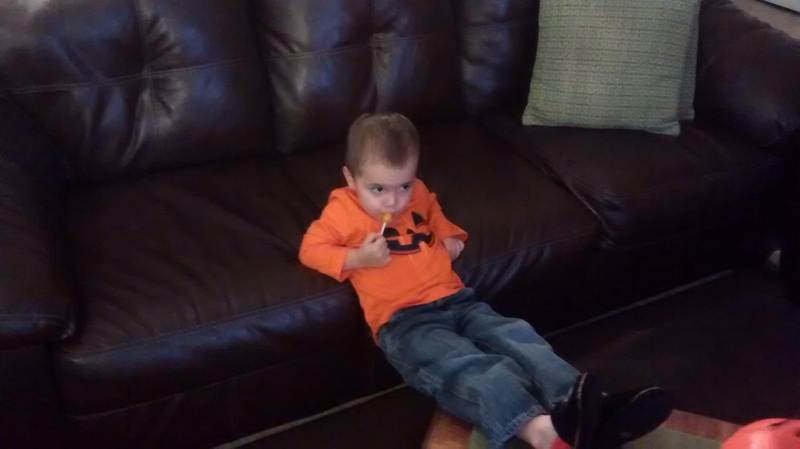 Halloween morning: he was pretty excited that his shirt matched his pumpkin. He kept telling me that the sleeves were too long (I guess my little South Texas baby is used to short sleeves at this point). He looks pretty comfortable (sucking on a Dum-Dum), though I can’t see how that’s even possible in that position. Getting ready to go out trick-or-treating. One of the pictures my friend next door got of our boys. Another one she got. 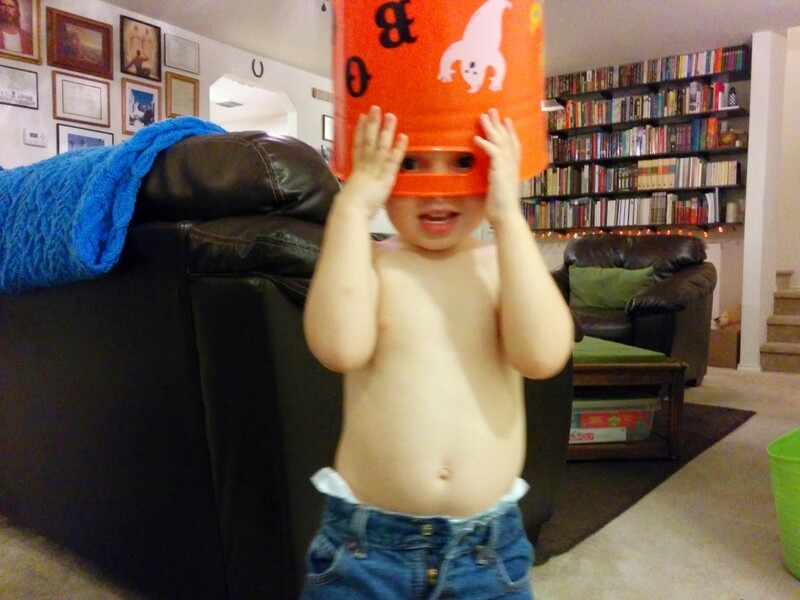 This is what happens when you tell two three-year-olds to show you their muscles, apparently. Out with Daddy…he was pretty tired towards the end and asked Paul to carry him on his shoulders. 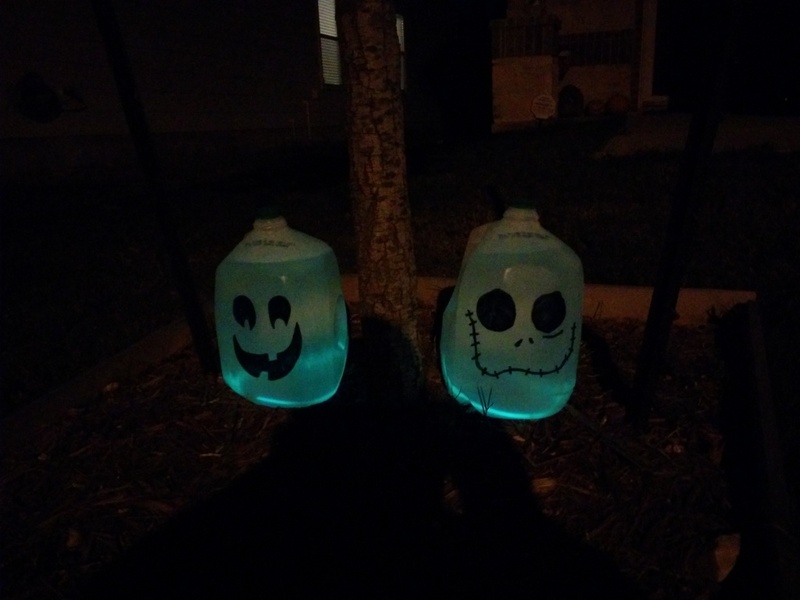 My glowing ghouls (milk jugs that I decorated, filled up with water and put glow-in-the-dark necklaces in). I think I’ll do it again next year, but look earlier in the month for glow sticks (they put off more light). I missed out this year because I didn’t plan well-enough ahead and they were all out. This was about 1/3 into the night. 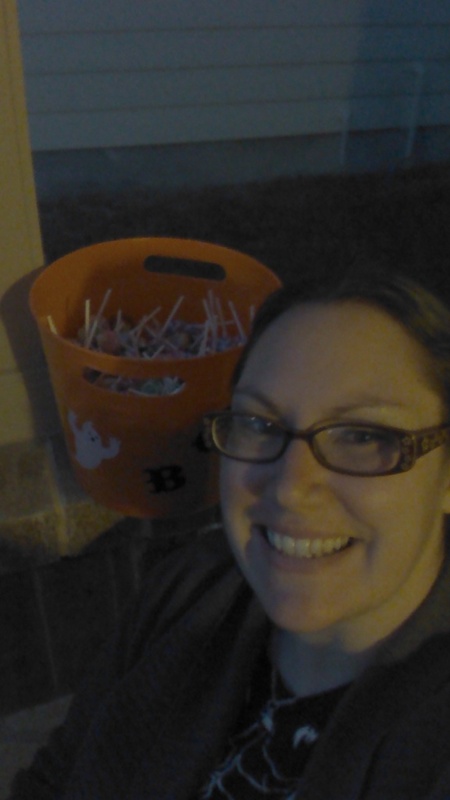 It only took a little over an hour to get rid of all the candy…300 suckers (I gave out 3-4 to each kid, so you do the math…we had a LOT of kids come by)! 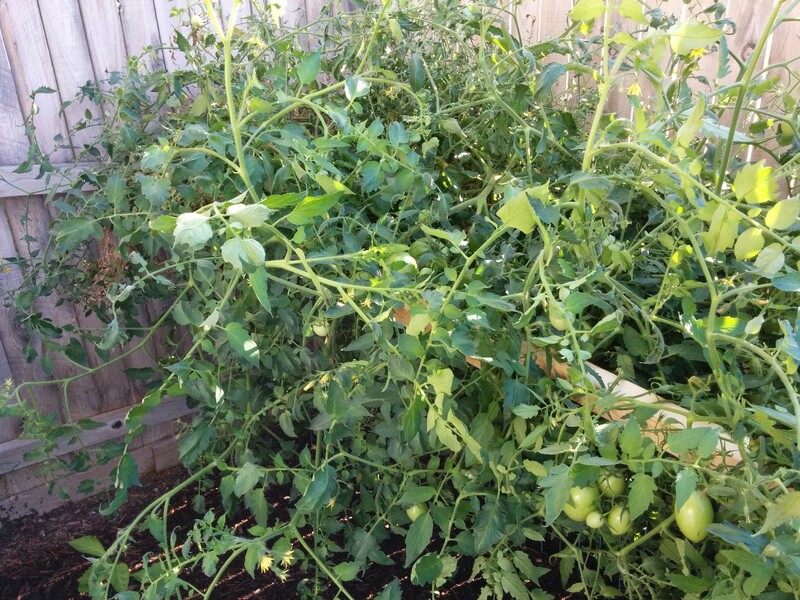 Our tomatoes are loving the cooler weather. 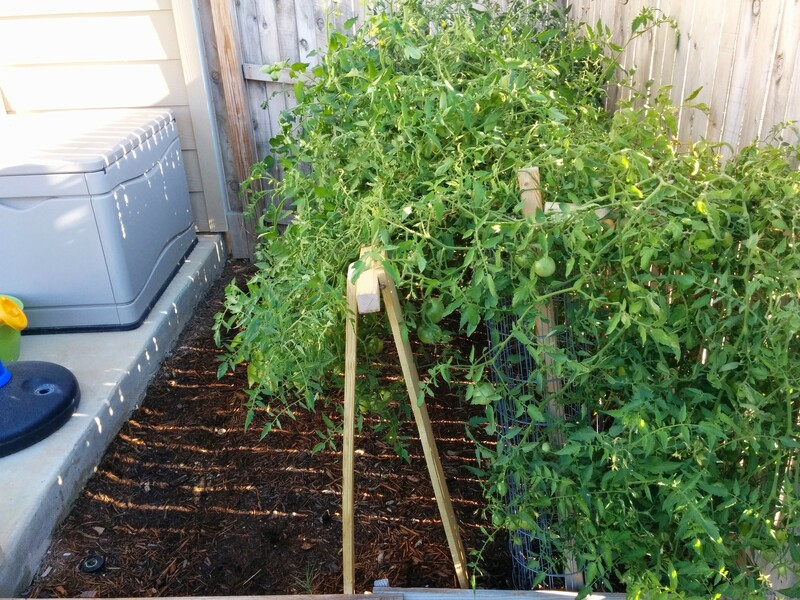 They’ve grown so much that Paul has had to add an extra support so they don’t drag on the ground. 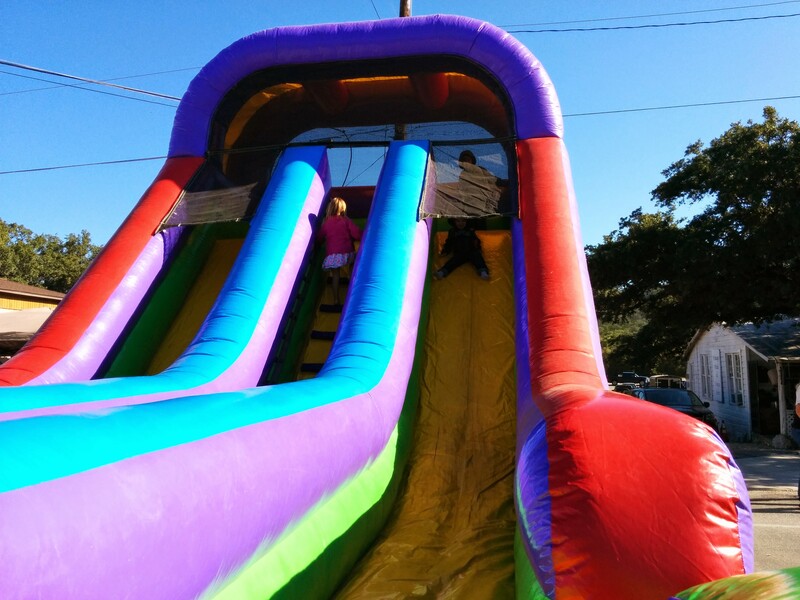 Going down the giant inflatable slide at Old Town Helotes during the market day. Luckily there are a few in Old Town.